An evening run on the beach with a pair of dogs turned into a scary situation when a British Columbia man was apparently stalked by a wolf pack. 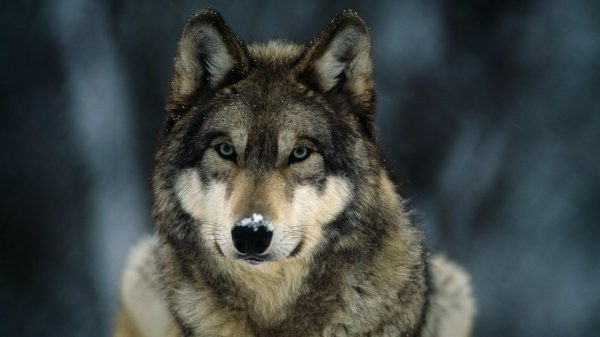 Brent Woodland told the Canadian Broadcast Corporation that he was running with his dogs when he first noticed a wolf standing among the sand dune just staring at them. That’s when Woodland screamed and waved his arms at the animal and threw stones to try and get it to go away. But instead of turning away “the wolf … held its ground, and it turned into a stare-down at that point,” Woodland told the CBC. And that wasn’t even the scariest part. Suddenly the man noticed that the wolf was not alone. There were others lurking along the tree line and they were trying to surround him and the dogs. Fortunately his dogs were leashed so they were not lured into the wolf’s territory. Woodland moved quickly to get to a visitor’s center about 400 meters away. There a ranger used a siren to drive the wolves away. After this and two other wolf encounters in the Pacific Rim National Park Reserve, officials there issued an advisory and warning for the area. Part of the wolf encounter with Woodland was caught on video, which you can view below.